With respect to the information available from this site, neither the American Indian Health Commission for Washington State (AIHC), their contractors, nor any of their employees, makes any warranty, express or implied, including the warranties of merchantability and fitness for a particular purpose, or assume any legal liability or responsibility for the accuracy, completeness, efficacy or value of any such information or any apparatus, product, or process described or referenced in the AIHC Tribal Behavioral Health Toolbox material or in material at other sites linked to the AIHC. In addition, AIHC and its contractors cannot endorse, or appear to endorse, derivative or excerpted materials, and cannot be held liable for the content or use of adapted products that are incorporated on other Websites. Any adaptations of these electronic documents and resources must include a disclaimer to this effect. 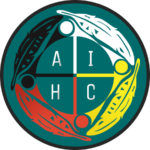 Materials in the Toolbox are available to use and supplement current Tribal Behavioral Health Integration efforts, not substitutes for policies, current integration plans, guidelines, protocol or activities within a Tribe. Permission and requirements regarding reproduction and downloading of respective documents and files are specific to each guideline and related documents in the American Indian Health Commission for Washington State database. Please read carefully and comply with specific notices on downloading and reproduction contained within each document. Documents available from this site may be protected under U.S. and foreign copyright laws unless otherwise noted. Permission to reproduce or to disseminate further may be required.